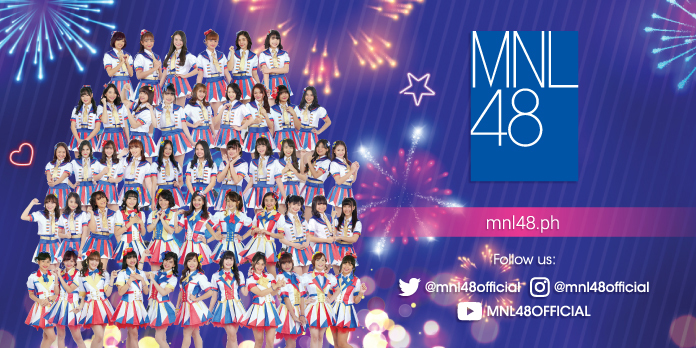 The highest-selling and phenomenal all-girl idol group, AKB48's Team 8 will be visiting the Philippines on December 2 and 3 at the ABS-CBN Compound in support for the MNL48 Grand Registration and Audition. MNL48 idol search is now down to its last few legs of its nationwide registration and audition tour, where it is currently in Cebu City, in search for talented and charming Filipinas between 15 to 20 years old who dream to be part of the biggest idol group in the country. The tour will hold its final stop at ABS-CBN compound to give MNL48 hopefuls a last chance to register, showcase their talent and get a chance to meet the seven members of Team 8. 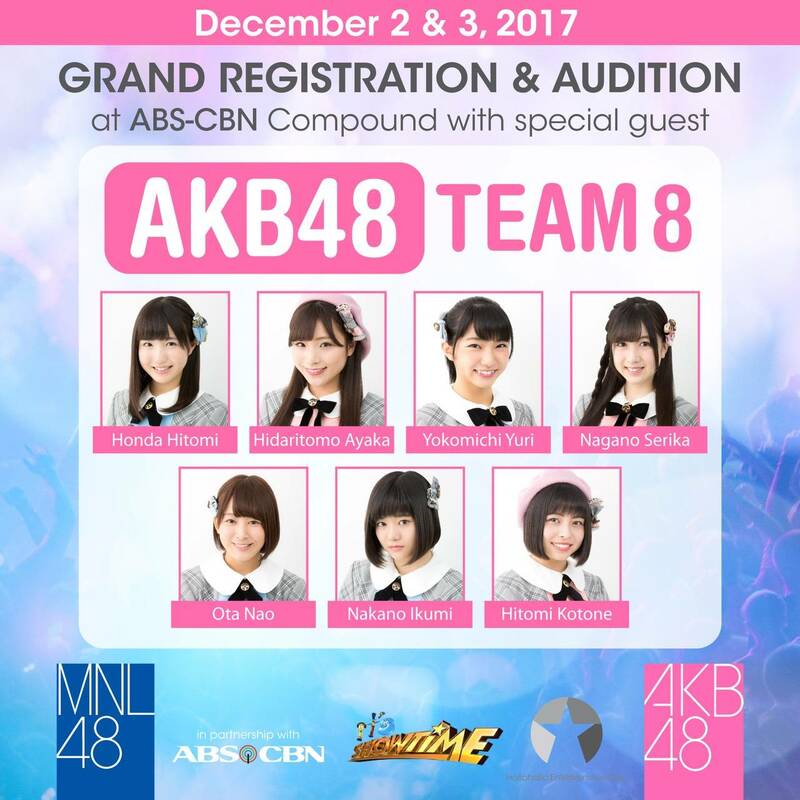 Aside from gracing the last venue of the registration and audition tour, AKB48 Team 8 Honda Hitomi, Hidaritomo Ayaka, Yokomichi Yuri, Nagano Serika, Ota Nao, Nakano Ikumi, and Hitomi Kotone will also be guesting on several Kapamilya shows including ABS-CBN’s Prime Tanghali show, “It's Showtime” where the MNL48 idol search will be airing this coming 2018. Before the MNL48 Grand Registration and Audition on December, the tour will be heading to several venues in Davao City including Rizal Park on November 25. As the tour nearly comes to an end, applicants are encouraged to campaign to gather more supporters because unlike other competitions, this idol search will have no set of panel judges and will rely 100% on audience vote. This will be Team 8’s third time to visit the Philippines as the members held their first fan meeting and hi-touch event in Manila and perform during the celebration of the 60th anniversary of JapanPhilippines friendship last year.